The #1 bestseller about families, friends and one life-changing week on the school run. 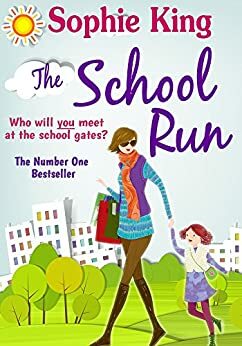 Meet Harriet, Pippa, Evie, Nick, Kitty and Martine as they battle the daily school run. Share their ups and downs during one life-changing week, as they face relationship dilemmas, family dramas, secrets and lies...all leading to surprise events which cause their lives to collide. Harriet doesn't know whether she'll still have a marriage by the end of the week. But as she waits for her husband's decision about their relationship, does Harriet have more choices of her own than she realised? Pippa is waiting too - for the results of medical tests that could bring devastating news about her health and future. But could it be Pippa's own actions that threaten all she holds dear? Evie is struggling with her high-pressure job on a magazine and dealing with two step-daughters who hate her. But when her husband disappears can she rise to her biggest challenge yet? Widower Nick worries about his teenage daughter, Julie, as they approach the anniversary of her mother's death. Can Nick keep his guilty secret about how she died? School teacher Kitty needs a man. At least that's what her friend Mandy tells her. Can she win Mandy's bet to find one by the end of the week? Martine is unhappy as the au pair for a famous TV couple. Will she find her escape with a married man? Seven people living different lives, but their paths are destined to cross in ways they could never have imagined. Also includes six Sophie King short stories, and a sneak peek at the first 10 chapters of both Falling in Love Again and Love is a Secret. Do You Take This Man? : Katie just got married ... or did she? Most enjoyable book. Would have liked a clearer ending - it seemed to end too abruptly for my liking! Good story otherwise and plenty of food for thought within the pages. Perfect book for relaxing holiday read by the pool with a long cool drink. Nice selection of 10 chapter excerpts from other books at the end. Too waffling, took too long to get moving. Although I did enjoy the book, at times it jumped ain't all over the place. The ending was very rushed and confusing, I had to read it twice. I found this great but I felt that it was a little frantic. As always Sophie King does not disappoint.